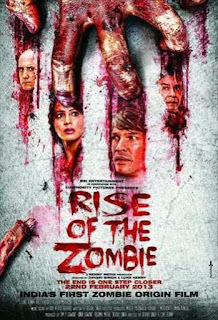 Rise Of The Zombie 2013 | FunToMovies 300 Movies '+g+"
Story:-Neil Parker is a passionate wildlife photographer who pays more attention to his wildlife than his human life. as a result his relationships with the real world suffer. When his girlfriend walks out on him he resigns himself to isolation and nature. But a chance occurrence changes all that. Changes that he can’t seem to handle, changes that seem to take his humanity away… changes that seem unable to change back? The story follow his journey into a darkness that has to be seen to be believed. A monster that seems to be rising out of the depths of desolation and agony… soulless, depraved and out of control.